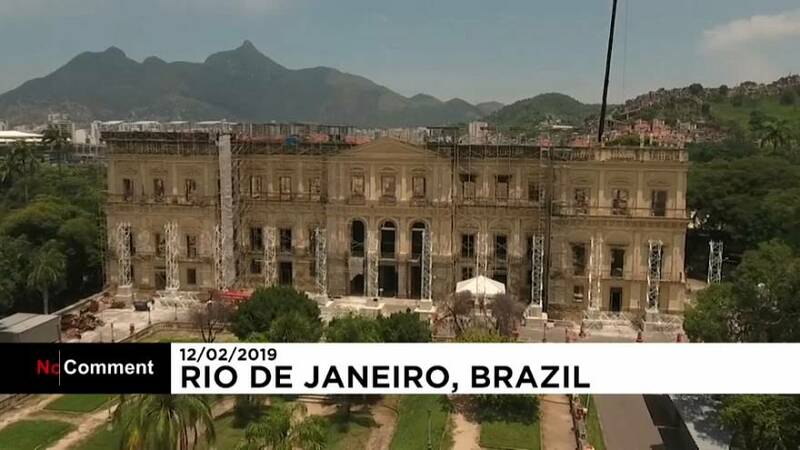 Authorities gave journalists a tour through the roofless ruins in Rio de Janeiro on Tuesday as archaeologists and volunteers sorted through the debris for anything that could be salvaged. Local construction workers used scaffolds to reinforce the main areas of the museum for the safety of staff and reporters. The interior of the museum is still in ruins, but restoration work has begun on cultural relics. The fire destroyed about 90% of the art collection in the museum with only meteorites and some paleobiology specimen kept in steel cabinets surviving the inferno.